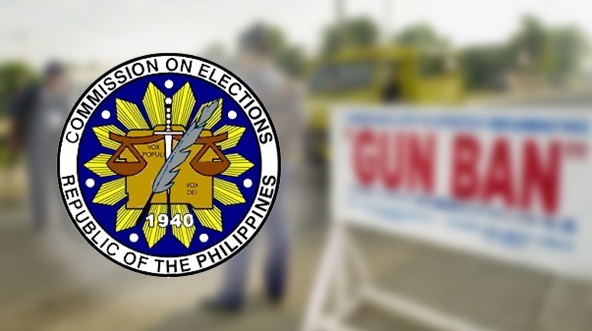 Two individuals were arrested for illegal possession of firearms in the province on the first day of implementation of the Commission on Elections (Comelec) gun ban on Sunday as part of security measures for the midterm polls in May. In a report, police said that Mejos was apprehended shortly past midnight at a checkpoint manned by composite team led by Sr. Insp. Neon Alvarez and the town’s election officer Arvin Curayag. Mejos, on board his Yamaha Mio Sporty, allegedly tried to evade arrest but was later surrounded by police. The arresting officers found in Mejos’ possession a black sling bag which contained a 9mm pistol. According to Tagbilaran deputy police chief Senior Inspector Vincent Paul Dumaguing, residents near the Bohol Institute of Technology along CPG North Avenue reported that Solamillo was drunk and brandishing his gun. Police then responded arresting Solamillo and seizing his improvised gun at past 2 p.m.